ZACH IS COMPETING AGAIN!!!! This Saturday This time at the OCTOBER OBLITERATION held at CrossFit Champions. We will have a place for the Silverback Nation to congregate just look for our banners and enjoy a beautiful day watching some of the area’s best athletes go head to head (8am to 5pm). Parking will be very limited and you cannot leave until the lunch break. We recommend parking at the school .25 miles North. After winning scaled at the Houston Challenge Zach is moving up to standard. 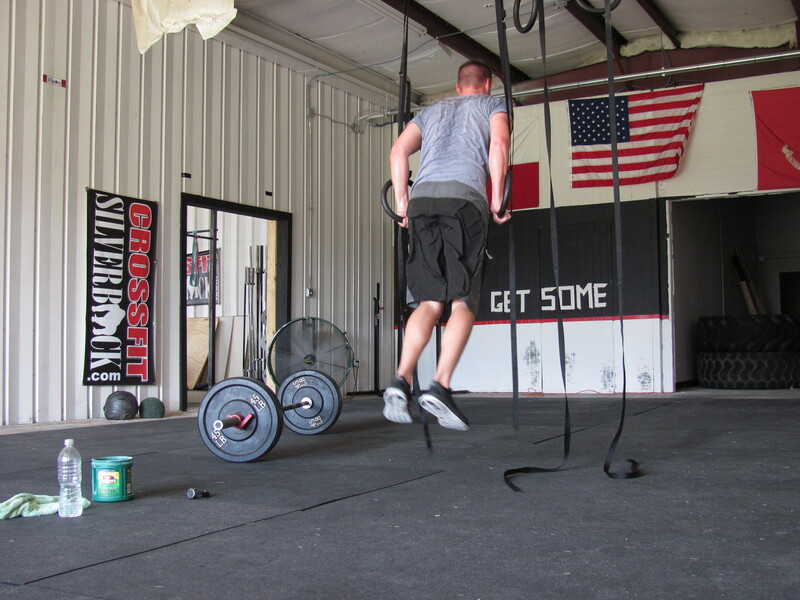 He did many a WOD above and beyond (like this one) to prepare. I’ve been MIA all week. I had an out of town funeral and I’ve been really under the weather. I will be there tomorrow after lunch to see Zach!! Go Zach! One of these days I will be in town to cheer and compete! Same here Zach. One of these days I’ll actually be in town (and not have anything child related when I am there) when you compete. Gig’em. Wish we could be there to watch you obliterate everyone, Sivi and I have no doubt you will make the Silverback Nation proud! !